Years ago, a precious friend of mine named Hildegard shared her most amazing pretzel bread recipe with me. 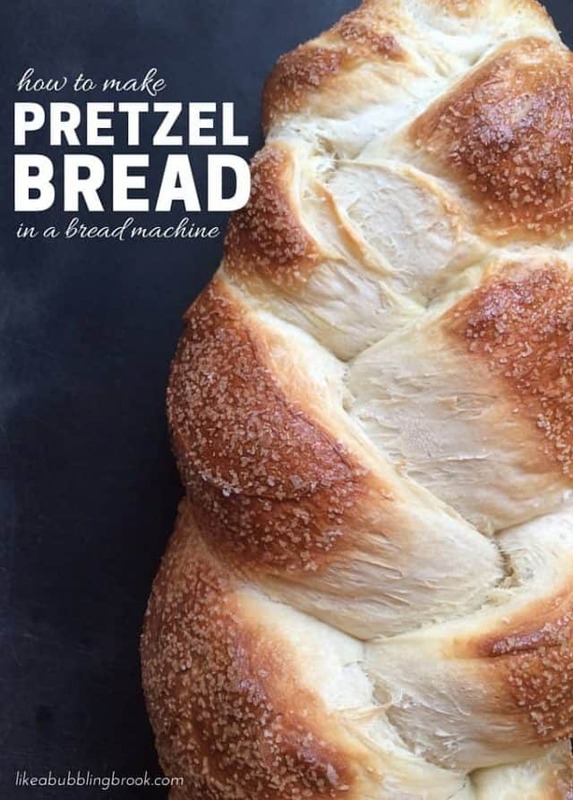 She had tweaked this recipe based on the pretzel bread she remembered from Germany, and created this simple bread machine method for making delicious pretzel bread dough in the bread machine. She finishes it by hand in her oven. I love a good, crusty bread. Especially when it’s a little salty. Mmmmmmm. This is a family favorite now, thanks to my sweet friend. 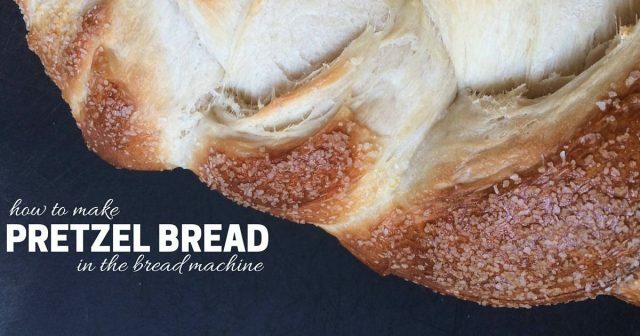 Place all ingredients in your bread machine pan, with the liquids first, and yeast last. If you have a special yeast compartment on your bread machine, feel free to use it (I do!). Set your machine to the dough setting, and keep an eye on the dough; I often find that I need to add a few more tablespoons of water to get a good-looking dough. It can be a little dry without the extra water, depending on your flour, so just keep an eye on it for the first few minutes and add a bit of water if necessary. 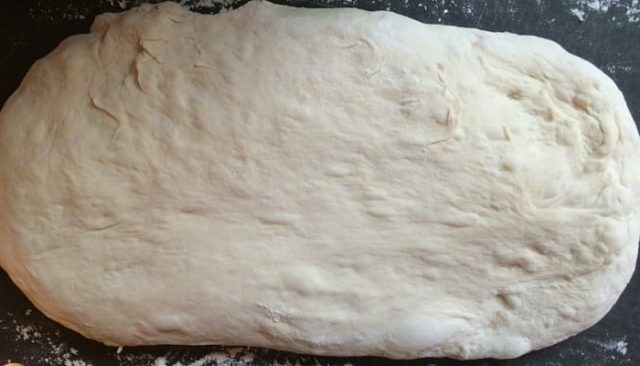 When the dough cycle is finished, turn the breach machine pan over and let the dough fall onto a lightly floured cutting board. 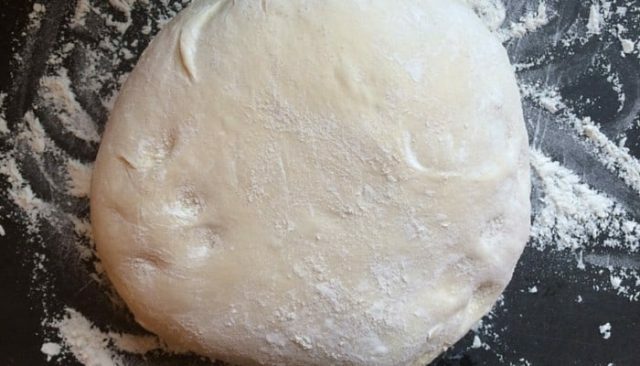 Gently lift the dough from left to right with a little shake, so that after a few shakes it forms a rectangular shape without tearing the dough. Divide the dough into three sections (I use these kitchen “super shears” we bought from a friend to cut the dough into three sections). 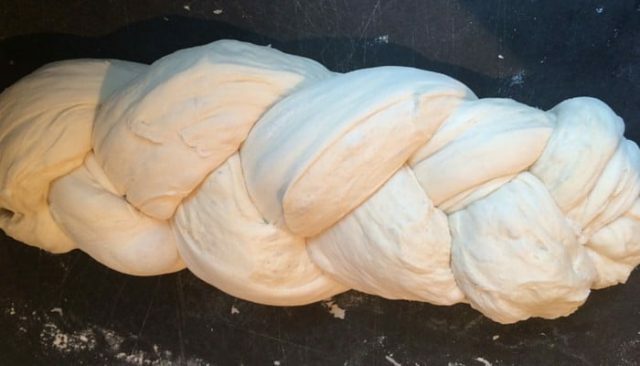 Braid the dough, then tuck the ends under just a bit. Gently move the bread to a cookie sheet. 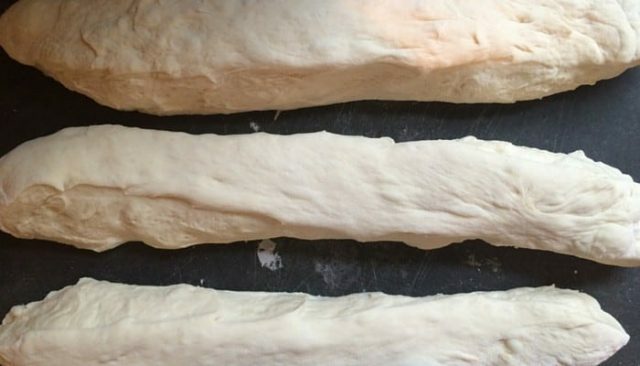 Brush a whisked egg over the dough with a pastry brush. Sprinkle with kosher salt. Bake at 400 for 30 minutes or until dark golden brown. Cool slightly before slicing. 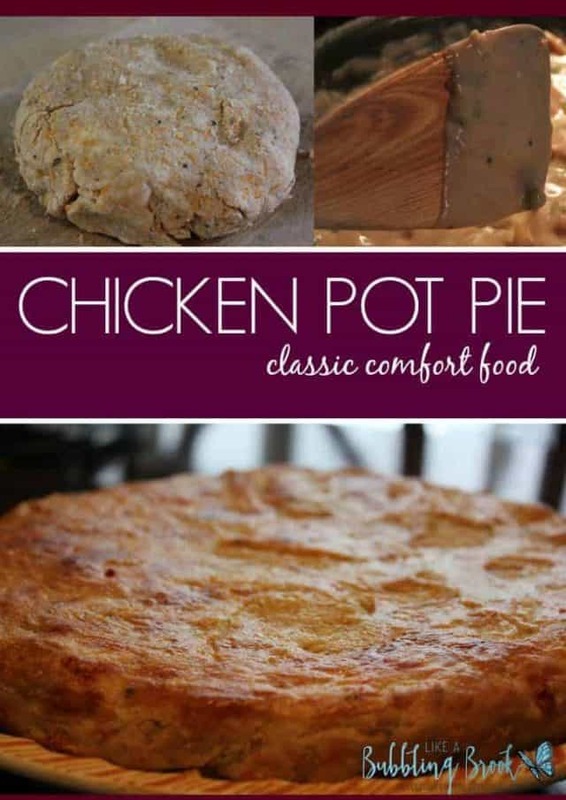 This looks so amazing and love fresh baked bread. Don’t you love the smell of warm bread in your home? It’s the best. 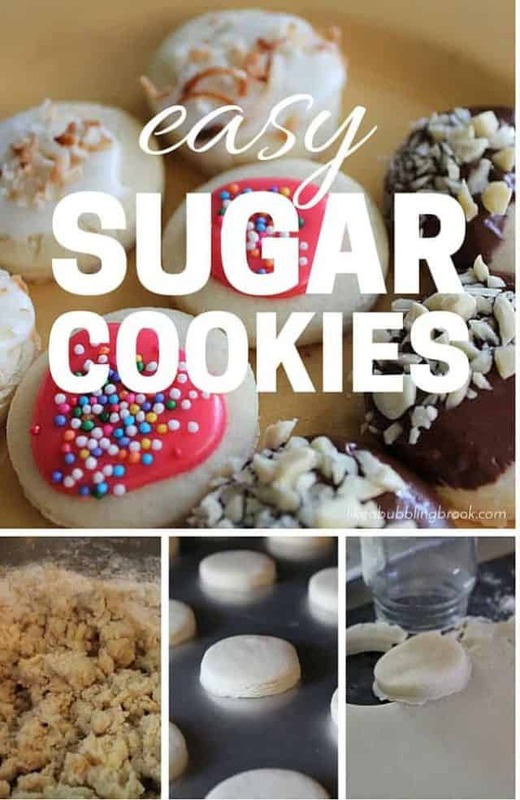 I enjoyed visiting your lovely blog and would love it if you would share this great recipe at a linky party I am hosting. I hope to see you there.